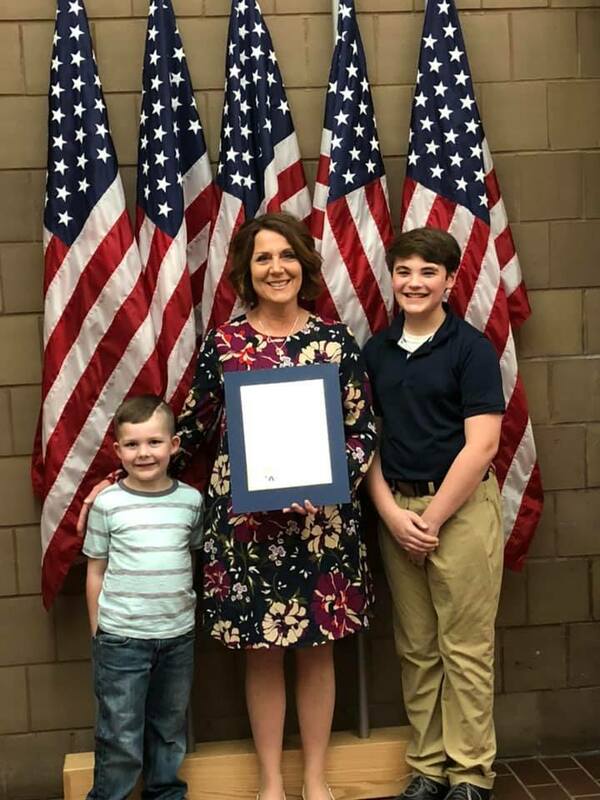 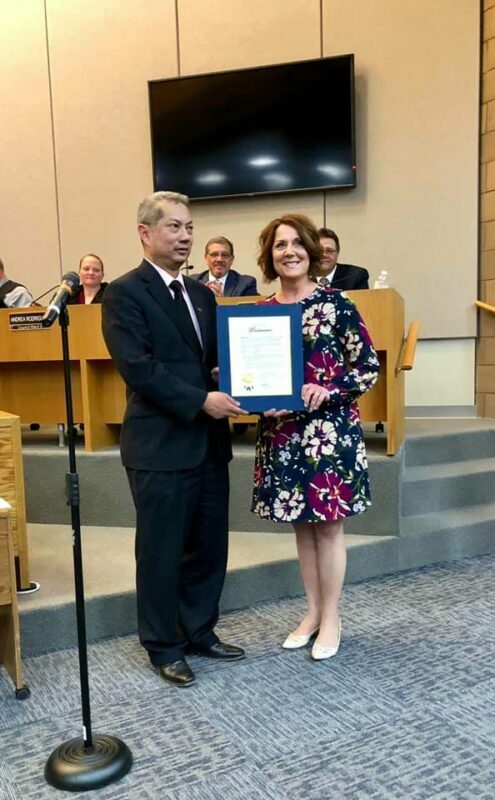 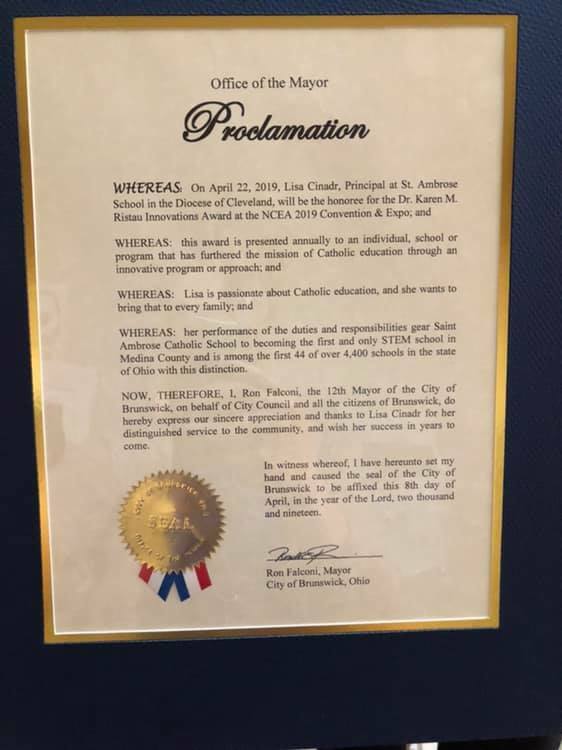 Our amazing Principal, Mrs. Lisa Cinadr, was recognized Monday evening by the city of Brunswick and Mayor Ron Falconi for her incredible dedication and work in Catholic education and innovation at Saint Ambrose School, which has earned her national recognition by the National Catholic Educational Association (NCEA). Congratulations Principal Cinadr on your recognition this week by our Brunswick community and nationally as the NCEA recipient of the 2019 Dr. Karen Ristau Innovations Award! 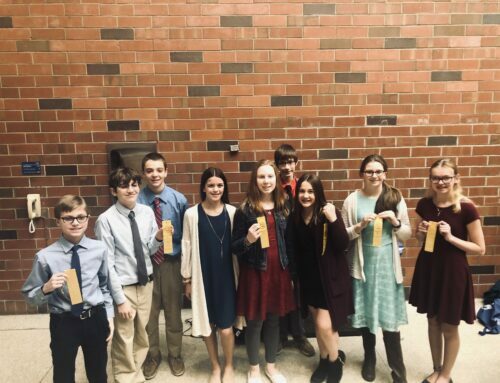 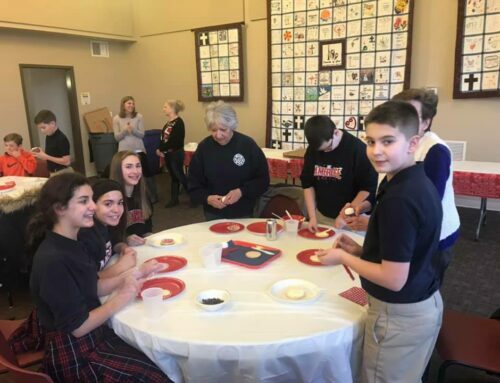 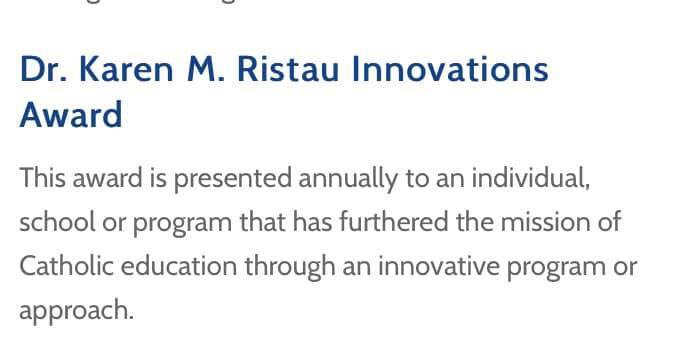 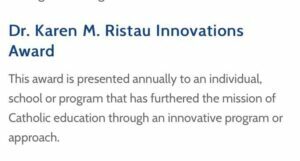 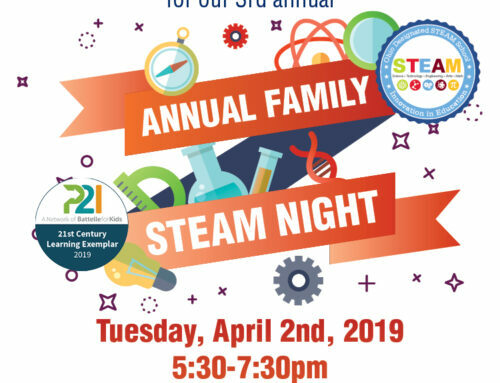 The Dr. Karen M. Ristau Innovations award is presented annually to an individual, school or program that has furthered the mission of Catholic education through an innovative program or approach. 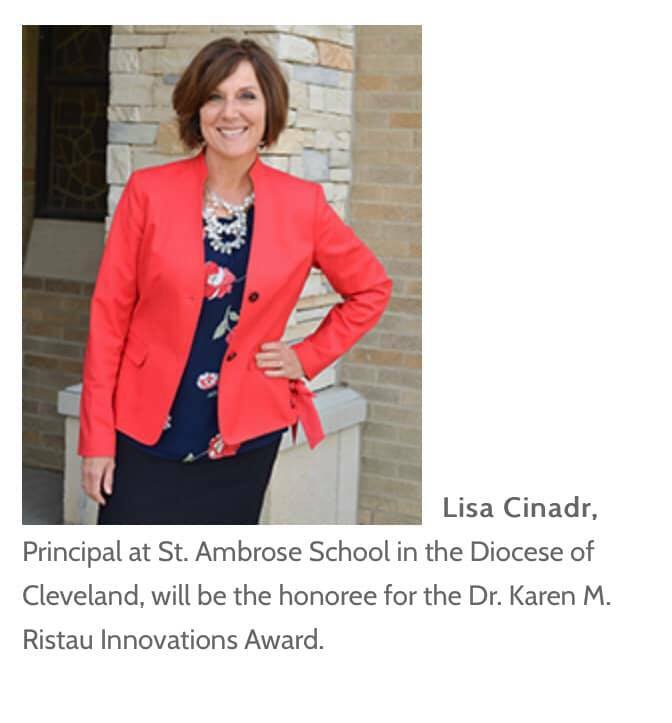 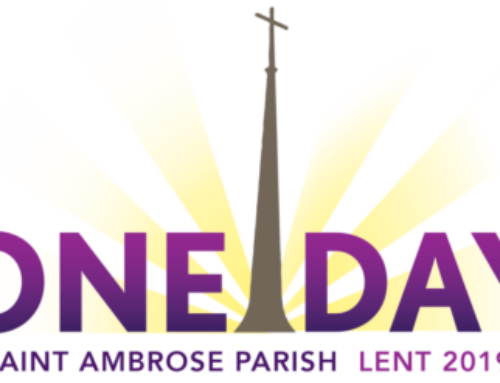 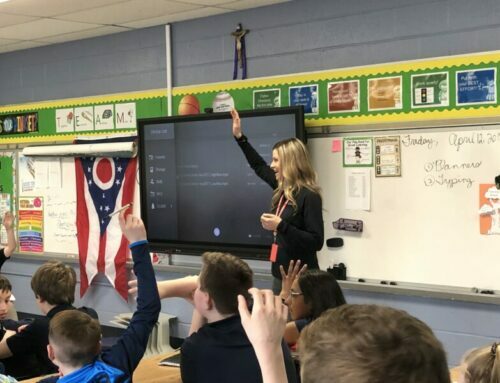 Principal Cinadr will be recognized nationally among her peers across the nation at the annual NCEA conference in Chicago later this month. 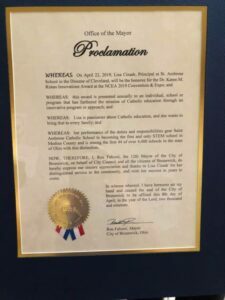 We celebrate this honor with her and thank God for her!